One of my favorite meals to make on Sunday is a big roast beef. Roasting bigger cuts of meat of Sunday is something I love to do because we can have a nice meal at the end of the week, and lots of leftovers for the upcoming week. Roast beef makes the best sandwiches for lunch, and can be incorporated in so many quick dinner recipes. Roast beef isn’t roast beef though without that w wonderful horseradish! And today I’m sharing the most amazing horseradish recipe I’ve ever had over at the Kitchenthusiast. It’s a little sweet, a little spicy, and packed with flavor. Oh, and did I mention it’s super easy to make! Just a few ingredients and have the best horseradish sauce ever! 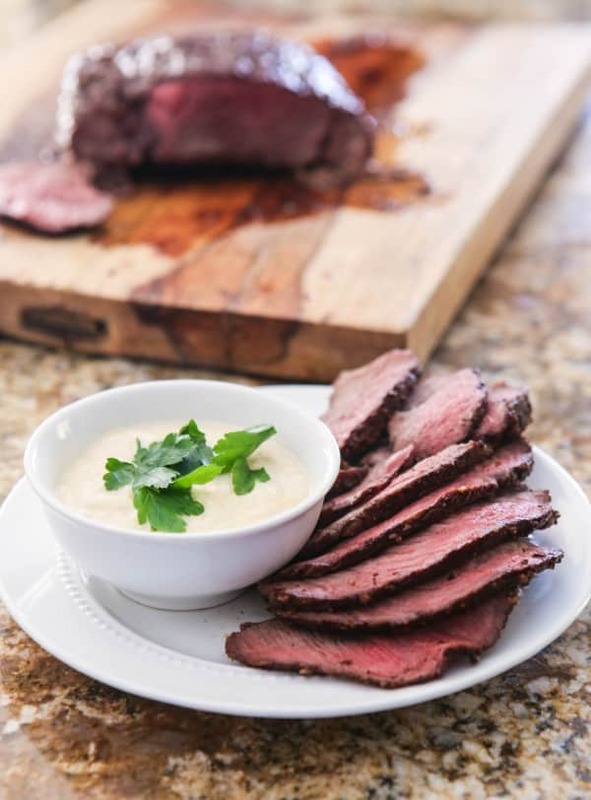 Be sure to head over to the KitchenAid.com Blog to check out this recipe for Roast Beef with Creamy Apple Horseradish Sauce. Angie that looks amazing. I think I just found my Valentine’s Day Dinner! I never think to make roast beef, but absolutely love it every time I eat it. 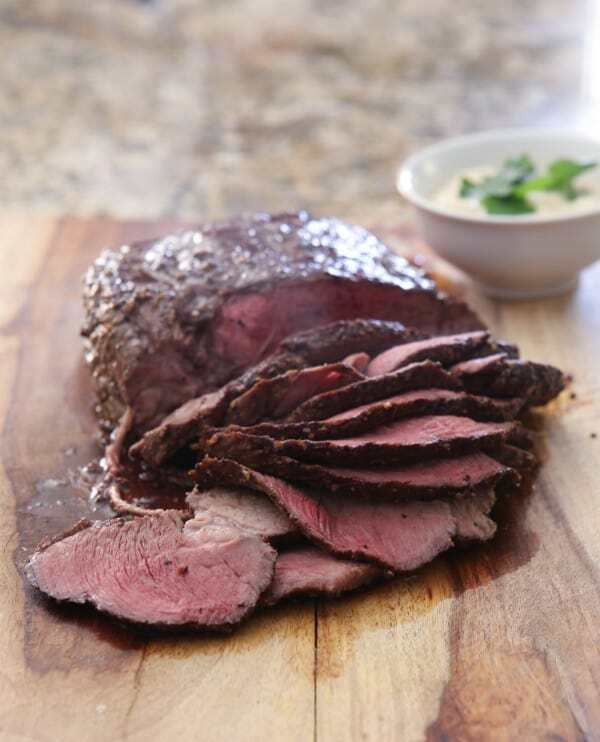 And you’re right…roast beef just isn’t the same without horseradish! This looks pretty darn fantastic. Heading over to check out the recipe now – I normally make sauce on sundays but would love to switch it up once in a while! Oh my word, that first shot!!! This looks awesome! My hubby is a lover of horseradish sauce and poor thing for him I never make it homemade! Your roast beef looks perfect! I have yet to make roast beef and am still a little worried about over cooking it. Will make it a goal for this year and serving it with apple horseradish sauce sounds simply just absolutely amazing. A big Sunday dinner with beef always works well at our house too. I just love the sound of the horseradish sauce. Heading over to check it out and pin! You did a perfect job with the roast beef and love the presentation with the sauce in the bowl! Beef and horseradish is a natural for me. I’ve never had horseradish with apple however. I’m sure the sweet with the bite of the horseradish is just perfect! Holy. Cow. I could put that creamy apple horseradish sauce on just about anything. THAT looks amazing! Meat has never looked so gorgeous!